Who is eligible for payday loans in Canada? Wondering about the options that you have when you are broke and out of money? Can’t wait till your employer pays the month’s salary? Stop worrying as you can avail payday loans and get cash within few hours. 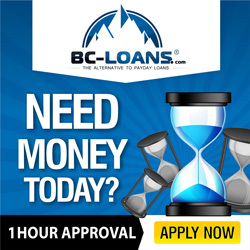 As the name suggests, it is a payday loan available for residents of Canada who are in urgent need of instant cash. If you have to pay any pending bill, house rent, travel expenses, child’s education expenses and the like, you can easily avail payday loans and opt for this type of loan. However, just as a coin has two sides so does opting for payday loans has merits as well as demerits. Payday loans in Canada are provided to anyone who is above 18 years of age and has a permanent job. You must be employed in your current job for at least five months at the time of applying for payday loans. A question now arises as to what payday loans are all about? These are short-term loans that can help you fulfill unforeseen needs and meet unexpected financial crises. You can borrow anywhere between $ 100 and $ 1500. Even as getting instant cash seems really easy through this medium, one must also know that the repayment duration of payday loans is of 14 to 31 days and one has to repay the loan along with high rate of interest. Also, one must not fall prey to advertisements that claim providing loans on just 15 minutes. 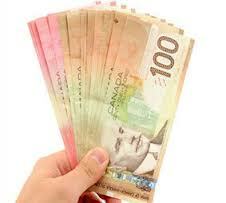 One of the best parts of payday loans in Canada is that they can be availed over the internet. All you have to share with the money lending firm is your job details, bank account details and contact details. Once you fill in the application form online, you would have cash in your bank account just within hours. However, it is always advised to avail such loans after much deliberation. Terms and conditions as well as the contract must be read thoroughly so that you don’t feel duped in the end. If, unfortunately, you fail to repay the loan in designated span of time, there are several consequences that you would have to bear. Some of the consequences are as follows: 1. Charging late fee: If you fail to repay the loan on time, a late fee will be charged. The late fee will be calculated from the due date. 2. Report may be sent to credit reporting agencies: On non-repayment of loans, lenders often report to credit reporting agencies, which can in turn prevent you from receiving loans or credit from a lender who is in touch with the agencies. 3. Not permitted to renew the loan: One of the worst consequences that you would have to suffer is that you will not be allowed to renew your loan. So if you have made up your mind to avail payday loans, approach money lending companies, fill in application form and wait for money to be deposited in your bank account!